Whether you are working in a turbulent field of work, navigating a complex job market or simply trying to achieve your career ambitions in a world that won’t stop changing, then this could be the perfect book for you and your team. Kathryn specialises in supporting professionals and leaders by offering the following services: one-to-one coaching, workshop design and workshop facilitation (e.g. Manager as Coach, Career Engagement, Building Resilience at Work, Achieving Career Success, Creating a Coaching Culture, Embedding Learning). 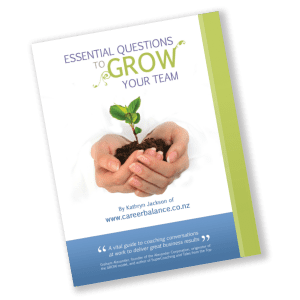 Essential Questions is a collection of more than 500 coaching questions, including 20+ Conversation Guides which have been designed to make conversations at work simple. 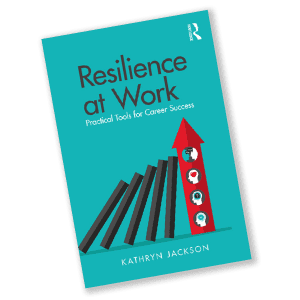 If you’re looking for tools and resources to help you or your team build confidence, achieve career success and grow resilience at work, then you’re in exactly the right place. "Kathryn has authored several books for everybody who wants to coach with confidence at work or build self-managed resilience"
"Driven by the award winning team at Fuel50 this is quite simply the best career path software we have ever come across". One-to-one coaching (the heart of Kathryn's work). Workshop facilitation (e.g. leader as coach, resilience and wellbeing at work, career engagement, creating a coaching culture). HR Business Partnering programme (supporting HR professionals). Coach the Coach mentoring programme (supporting internal and external coaches). Kathryn is also a partner for the New Zealand Institute of Wellbeing and Resilience and the Organisation Development Institute. Whether you are working in a turbulent field of work, navigating a complex job market or simply trying to achieve your career ambitions in a world that won’t stop changing, then this could be the perfect book for you. Packed with stories, resources and personal coaching to support you, this book has grown from the authors own experience of working under extreme circumstances in post-earthquake Christchurch, New Zealand. There’s no escaping the growth of interest in the power of coaching conversations at work. No longer just the stuff of track and field, coaching questions are now proving to produce quicker results, increased accountability and (on many occasions) instantaneous personal development for the person being coached. Want to know more about how I can help?